We’ve come a long way from Patch Tuesday, baby. In April, Microsoft dropped significant patches, or fixes, or fixes of patches on 11 different days. No wonder your admin’s getting gray hair. April 3 - Non-security Office patches. Numerous bugs. April 3 - A security hole warning about the Microsoft Malware Protection Engine. Get the new version of the scanning engine. April 7 - Servicing Stack updates for Win10 1703, 1607. 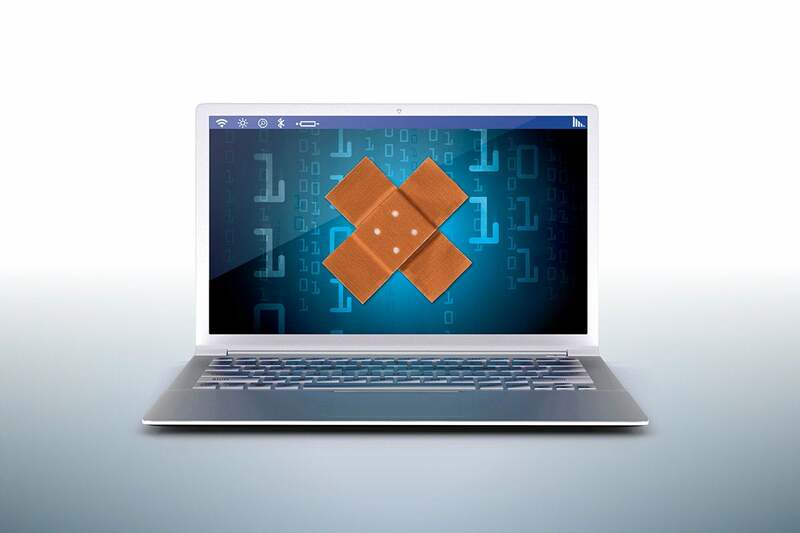 April 10 - On Patch Tuesday, security patches for every version of Windows and Office. April 10 - A Servicing Stack update for Win10 1709. April 11 - The description of the Win7 Monthly Rollup KB 4093118 changed to say you need to install the KB 4099950 Carnak patch before installing 4093118. Confusion multiplies exponentially. April 12 - Report that the Win10 version 1709 cumulative update contains a bug that messes up the pen. April 12 - A re-released Win7 Monthly Rollup KB 4093118 (metadata changed). April 12 - Firmware/driver patch for Surface Pro 4. April 18 - Reports that the Win7 Monthly Rollup KB 4093118 is installing itself over and over again. We subsequently found that odd behavior was triggered by the Win7 Monthly Rollup Preview. April 23 - Second Cumulative Update this month released for Win10 1709. Fixed the pen bug introduced earlier in the month. April 23 - Metadata refresh for Win7 Monthly Rollup. April 24 - Spectre variant 2 fix for Win10 1709, 1703, 1607 released. April 30 - Win10 version 1803 released, as was .NET Framework 4.7.2. Microsoft… with all the new emphasis on privacy and data collection in 1803, with all the push on GDPR, please start by rebuilding the trust of Windows Updates. Start with going back to consistent days. Start by going back to specific days of release. Patching. Microsoft’s least-understood billion-dollar business. Help us re-arrange the deck chairs on the AskWoody Lounge.